John Law, a renowned Scottish economist, was born on April 21, 1671, in Edinburgh, UK. Law belonged to a family of bankers and goldsmiths. His father was the owner of the famous Lauriston Castle, and his mother was a distant relative of the duke of Argyll. His father passed away in 1688, when he only 13 years old. Thereupon, his mother took over his upbringing and provided him tutors for theoretical and applied economics. At the age of 14, Law joined the family business and began studying banking. However, his interest soon wandered away from the firm and he began indulging himself in the pursuits of pleasures, he travelled to London and started losing large amounts of money in gambling. His mother continuously stressed upon his education, and due to her efforts Law studied mathematics, commerce and political economy in London. Law had an engaging and charming personality with strikingly good looks. On April 9, 1694, Law fought a duel with Edward Wilson, Wilson was killed and Law had to flee the continent in order to escape his death sentence. He took refuge in Amsterdam, where he began educating himself in banking operations. Law returned to Scotland after ten years, and published one of his highly acclaimed works, Money and Trade Considered, with a Proposal for Supplying the Nation with Money. He also proposed a banking reform plan to the Scottish parliament, which met with rejection. 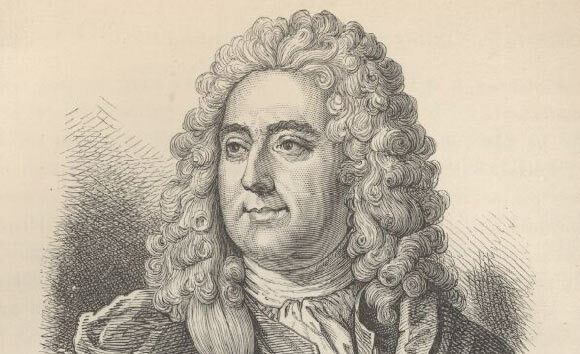 After facing several more rejections to his plans by the Scottish government, in 1716, Law received permission to propose his plans to the French government. Law’s proposals to reduce the public debt met with much approval from debt-riddled France. He advocated the development of a national bank to provide and increase sources of credit, and also, the issue of paper money backed by land, gold or silver. Law held a socialist view point of excluding private enterprises by creating a state owned bank to regulate national finance and a state company for commerce. Law proposed that this policy would assist the state in creating a monopoly of finance and trade, and the profits reaped from this venture would assist in paying off the national debt. However, this proposal garnered much criticism, particularly from the Conseil des Finances, merchants, and financiers. In 1716, he founded a General Bank in Paris, a private bank which had the authority to issue notes. Later, he combined his bank with the Louisiana Company, which solely held the privilege of developing French colonies of the Mississippi Valley of North America. In 1718, the bank was named the Royal Bank, this indicated that the notes issued were guaranteed by the King. Law was appointed as the Controller General of Finances to attract capital. His venture proved profitable for some years but due to certain political complications and controversies. The project went sour and John Law, as the founder, was blamed for the “Mississippi Bubble”. He was forced to leave France in 1720. He moved to Venice, where he died as a poor man. Law held the belief that money was only a means of exchange and could not defined as wealth. According to him, national wealth could only be measured through trade. He stated that money was a crucial element in economic development, and an increase in money supply would also result in an increase in national power. Law proposed the establishment of a central bank to create and regulate the money supply, in the form of bank notes to be circulated in exchange of gold and silver. Some important and famous academic contributions by John Law include Money and Trade Considered: With a Proposal for Supplying the Nation With Money, Oeuvres completes and Oeuvres de J. Law.